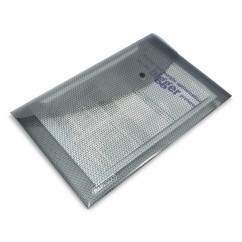 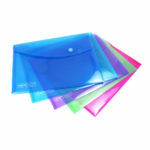 This A5 size Popper Wallet is ideal for use at the office, home or in education. 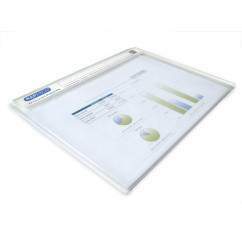 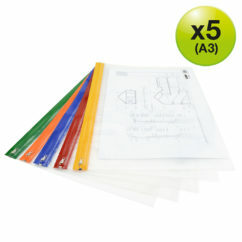 It is popular as a general storage file for loose papers when attending meetings or for keeping papers tidy for filing. 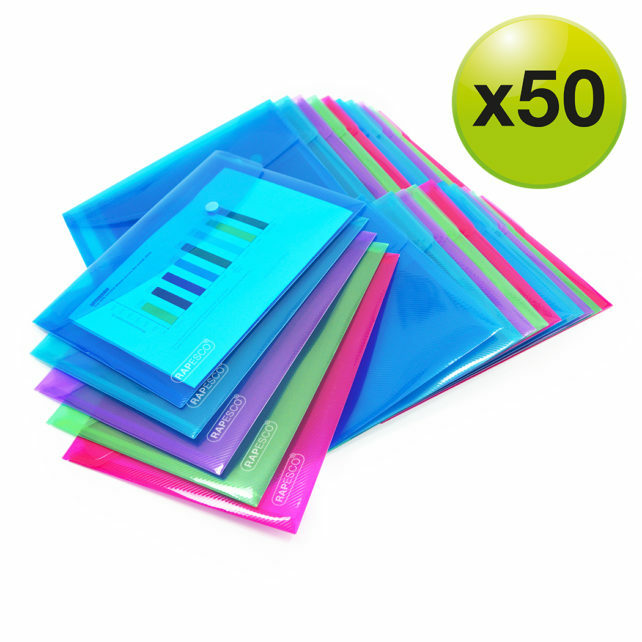 Its large capacity will hold up to 50 pages and it also features a fold-over flap with colour coordinated press-stud closure to keep papers secure. Under the curved flap you will also find a pen holder. 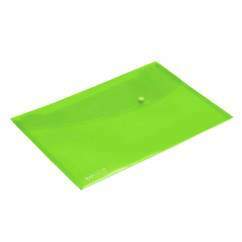 Pack contains 50 x popper wallets in assorted bright colours for easy colour-coordinated filing.